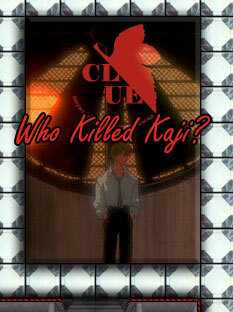 It's none other than Ryoji Kaji, the subject of many a whodunnit. So besides Gendo who are the other suspects? The characters and rooms won't be modeled after the original game, just the layout and gameplay. Makoto Hyuga (Blue) Didn't see that one coming, did you? I'll probably finish it eventually, but no guarantees. I could make Keel green and Pen-pen white, that'd make just as much sense. For the most part, I went by hair color where applicable. I considered making Rei playable, but I thought using her as a weapon was funnier. I think I'll start a thread about this. Where on gainax' web site did you find the bento pics? Rock. I saved the slideshow in case anyone misses it for their archives. BTW, if you guys watch Keroro Gunso 09, you can see a ton of Eva parodies. I'd take pictures but why would I take time out of my busy schedual to do that?! PronsAmuro wrote: BTW, if you guys watch Keroro Gunso 09, you can see a ton of Eva parodies. BUT WHO is subbing it? "You're never alone with a clone!" 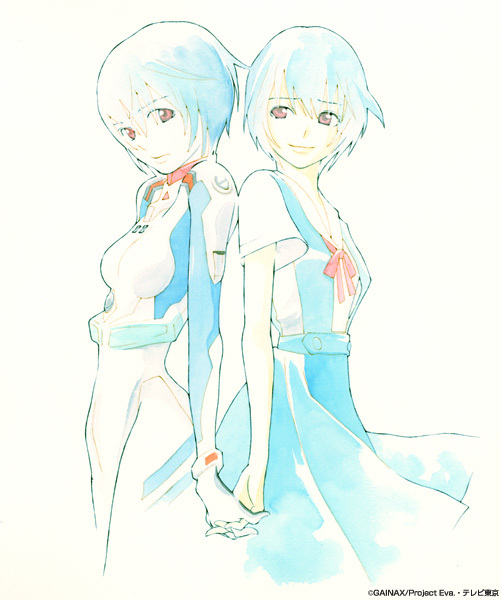 If Rei had the chance she would be much stronger than Asuka. It's like keeping a bird inside a cage. That last pic reminds me a lot of BONES' work, so I'd guess that Gainax is taking notice of similar character designs to their own (BONES did Eureka Seven, which ought to explain my statement). Seen the first, but not the second. That's adorable. My entry for a fark photoshop contest.